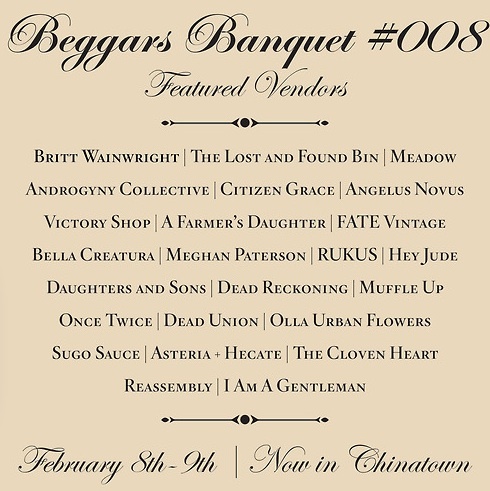 Beggars Banquet is a pop-up flea market aiming to marry combined interests and collections in a highly curated market consisting of vintage housewares, clothing, records, books, curios, and well crafted goods. Check out some past Got Craft? and Indie I Do vendors participating at the event including A Farmers Daughter, Meadow, and Olla Urban Flowers.